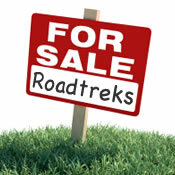 Want to place an ad to sell your Roadtrek? for some examples and do not be overly long. EMAIL us your ad request. Include: model, year, condition, location and price. Your ad will run 3 months. You will need to renew before the 3 months is over or your ad will be removed. You may include ONE picture. This page is provided as a service to Roadtrek International Chapter and friends, and so is carried at no charge. NOTE: Many buyers already know about the Roadtrek standard features, but be sure to mention any additions, factory options, improvements, or replacements you have had done. Also, list all the ways you'd like to be contacted about your ad. 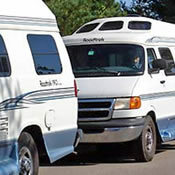 YOU DO NOT HAVE TO BE A MEMBER OF ROADTREK OWNERS GROUP TO HAVE YOUR ROADTREK LISTED. THIS SERVICE IS OPEN TO ANY INDIVIDUAL. GOOD LUCK! CLICK HERE or use webadmin@roadtrekchapter.org to send us your ad request. We assume no responsibility for any ad placed on the Roadtrek website. Ads are free and come from anyone wishing to sell a Roadtrek, whether they are a member of Roadtrek International or not. As such we have no way to verify the claims made by an ad written by the seller. ATTENTION ALL SELLERS!! Be aware of those attempting to buy your RV under false pretenses using the so-called "Nigerian Scam". 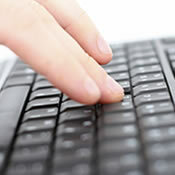 Please refer to www.carbuyingtips.com/nigerian-scams.htm for more information. The best policy is not to respond to this kind of offer. However, you may choose to meet the buyer at your bank, with an officer present if you have reason to believe the offer to buy is legitimate. A real buyer likely will not mind doing this, but please use caution in any event. Scammers usually will only contact sellers by email. Consider listing your phone number if appropriate. NOTE- A CASHIERS CHECK ISN'T ALWAYS A SECURE PAYMENT - involve your banker. The following listings are provided, at no charge, as a service by Roadtrek International Chapter, FMCA. It is a listing service only and all claims of condition, features, drivability and operational status are made solely by sellers. Prospective buyers should exercise the same cautions as they would when contemplating the purchase of any other vehicle. Please see the Roadtrek International newsletter. It is our member's newsletter and has information on our group and its activities. Each current newsletter linked on our Home Page is open to all viewers. Roadtreks are advertised in the above newsletter that are not on the website. Consider buying a Roadtrek and join our Roadtrek FMCA Chapter Owners Group. I've had it for a few years and have absolutely loved it, taking it ALL across the country in spring, summer, fall, and even winter camping up in the Upper Peninsula of Michigan! I've often driven it for 10 hours straight each day on a trip and the rig easily took it in stride. In the past two years I've added new tires, battery, radiator, fuel injectors, transmission, rotor, coil, wiring under the hood, propane/CO2 detector, power steering hose, and u-joints. Everything inside works great and I've absolutely loved using it. The only thing that I haven't used or tested is the water/plumbing, haven't had a need for it, but the toilet is nice and clean, and I know that the previous owners had winterized it in the past. There are some rust spots, but it's cosmetic only and doesn't affect anything. You could also easily cover the few rust spots with new trim, if you wanted to. I think it's fine as it is. 206K miles. Has Good Bones but cosmetically it needs refreshing. Clean interior. AC, Fridge, Microwave, Propane Stove, toilet, all work. New AM/FM/CD/remote/custom built console. Good Tires. Rebuilt transmission, new brakes in 2016. Numerous other repairs sent on request. Excellent condition, many new, and replaced items. Fully loaded, and self contained. Includes water filter, and 3 person bike rack. 1997 Dodge, 170 Popular - 124,000 miles - great condition inside, a little rough on outside, everything works well except not sure about water heater. Mechanic says “it’s a great vehicle - it’s got at least another 100,000 miles to go.” Steering stabilizer, new shocks, new transmission 1k ago. 350 Chevy 3500 series. 82,175 miles. New: starter, alternator, rotors and brakes, carburetor and fuel pump on Onan generator, awning, and new 3-way refrigerator. Has stove and microwave, toilet and shower, A/C, furnace, water heater, TV, DVD and exterior antenna. Millage 113690. Located in Waynesboro, PA. In good condition. Alarm system, Onan generator, Suburban 16,000 BTU furnace, A/C 7,500 BTU, Dometic refrigerator (propane/electric/DC). This is a nice vehicle with only 60k miles. It belonged to my parents, and for the last few years was stored in their barn. My father maintained it meticulously. Gone over by a couple of mechanics: replaced the battery, fuel pump and a brake light switch. I've driven it several hundred miles to be sure. The tires are good. Standard Roadtrek things: fridge, toilet, closet, sink and stove, it can be a king or two beds. AC, furnace and an awning on one side. Asking $23,000 negoitiable Located in California in Half Moon Bay. Chevy Roadtrek, @ 72,000 miles. Have replaced: water pump and blower motor/resistor, circuit board on generator and added resonator, coach battery to increase output to 216 amps, stock am/fm radio with Pioneer AVIC 5100NEX and GPS with back-up camera, rear speakers, and rear window and resealed rear side window. Recently greased front end and lubed rear end, transmission and engine oil all with Synthetic Amsoil. Fully functional TV/DVD with cable/antenna hook up. Tires are in very good condition. Plenty of storage. Fully functioning awning. Furnace, hot water, refrigerator, water pump all working well. Towing setup. 2002 190 Versatile Chevy 3500, low mileage, 44K miles. Asking $28K. Seats 6 and sleeps 4. Or roomier for 2 with armoire. This is a hard-to-find Class B motorhome. At 19.5 ft length and normal van width it fits in most regular parking spots. 74,000 miles. Ram 3500 chassis with 5.2L V8 engine. Runs very well, had recent major tune-up and maintenance. Very good condition, inside and out. New deep cycle batteries, water pump, ceiling fan. Onan 2.8 kW gas generator just serviced, runs very smoothly. Only 261 hrs on generator. Self-contained with the usual Roadtrek features: Built-in toilet and shower, 2-burner stove, 3-way refrigerator, microwave, toilet, shower, roof A/C, furnace, water heater. Rear sitting area converts to queen-size bed. Passenger seats convert to 2 narrow beds. ADDITIONAL features include storage drawer above front seats, armoire which can replace passenger seat behind driver (seat also available), towing package with Class III, 2” hitch. Clean history, second owners, no accidents. Truly a great find! Built on a Chevy Express 3500 chassis and has the strong 6 liter engine. It keeps up with traffic on the steepest hills. This has less than 57,000 miles and there’s no rust. The Onan generator has less than 35 hours. New ones cost over $150,000. !!! Asking $37,999 Beautiful Roadtrek 190 Popular in excellent condition. 102,000 Miles. Chevy 3500 chassis with a V8 engine. Very well maintained and it shows. This is a jewel. Runs like new one! Replaced Dometic Refrigerator with high efficiency Isotherm unit. Generator has 72 hours. Recent fluid change on all systems. Located in Tuckerton. Built on a 2004 Chevy 3500 Express chassis; American aluminum racing wheels; 98,000 highway miles; excellent condition; clean; no smoking; easy to drive, maneuver, and park. Self-contained with: water, electric, LP Gas; 3-way refrigerator; microwave oven; 2-Bruner stove top; 19” television; Onan generator; furnace; air conditioner; roof vent; E-zee Lift for spare tire; trailer hitch with heavy duty bike rack: removable hardwood flooring. Super clean and excellent condition throughout! Only 39,900 miles. Always stored inside the garage. No smoke, pets or kids. Properly maintained. All manuals and service records included. New tires on American aluminum racing wheels. Recent front-end alignment. House batteries recently replaced. Air springs (rear). Bilstein shocks (front and rear). Tripp-Lite Power inverter and charger. Interior lights upgraded to LED. Insect screens for rear and side doors. Onan Genset 80 hours. Includes All Standard Options. ~95,000 mi. Plus New or Up Graded furniture, fixtures and equipment. Custom exterior hood bug bra, exterior sun shield, and new: rotors/brakes, Michelin tires, Monroe Shocks, and exterior storage box slides/pan/frames. Custom interior overhead cab window sun shields. New items include; Pioneer a/m f/m radio & CD, digital TV antenna/receiver, carpet, GM factory driver/passenger floor mats, couch motor, A/C, refrigerator, microwave/convection oven, water pump, macerator, 1200 Inverter/charger, and house batteries. Rare find, ALWAYS GARAGED. Exterior looks like new. Interior also in great shape. No rips, tears or leaks. No pets, no smoking. Interior lights updated to LED. Clean CarFax we can provide. Approximately 62,000 miles. All Chevy maintenance performed at recommended mileage. Transmission fluid changed at 50,000 miles. Front end just aligned. Synthetic oil in engine. Approximately 250 hours on Onan generator. Only 5 hours on generator since oil/filter change. Previous owners did not “use" generator, they simply ran monthly to keep in good working condition. The only reason we are selling is we cannot park at our home due to HOA restrictions. In addition to standard equipment, all in fine condition, the unit has the following: Brand new stereo/CD player with backup camera. New DVD player. Winegard Roadtrip satellite, all you need is a DISH receiver to watch satellite when traveling. Good condition $35,990. 63,000 Mi. Everything works except generator ( cranks but will not start ), and black and fresh water tank display. Priced accordingly. Two new 6 volt house batteries. New 24” Samsung TV and 5.1 surround system with Blueray player. Driver, Passenger and rear doors screen kit. 7” Garmin RV touch screen GPS. 11’ awning. Extra storage unit in place of the 3rd seat. I have the 3rd seat if you want to switch back. 25K on Michelin tires replaced 8-2013. Fantastic Fan with temp. control. All manuals and repair records included. A great price if you are primarily in campgrounds with plug in power. But you can still dry camp. Owan generator, stove, fridge, microwave, furnace, A/C, hot water heater, TV-DVD-VCR, toilet, shower & more. 2007 Roadtrek RS Adventurous - Sprinter Chassis $48,000. 2.7 liter Mercedes 5-cylinder Diesel engine. Serviced with Amsoil synthetics. Almost 16,000 miles around US this past year getting 23-26 MPG. This engine has an odometer reading of 141,500 miles, and is reputed to be good for a "million" miles. 3rd owner of one year and "I'm movin up." Original single owner. 55,000 miles. 189 hours Onan generator. All maintenance records available. Stored under cover. Always in Florida. No smoking, no accidents, no children or pets. Clean and good condition. All systems work. New car battery. Tires in good condition.Tow package. 2008 Sprinter 2500 chassis, Mercedes 3.0L V-6 Turbo Diesel (pre-DEF), 63,000 Miles, silver paint. Standard and optional original equipment: Onan propane generator, Tripp-Lite 750 watt inverter, Rear power sofa converts to king bed, Wardrobe & armoire cabinets interchangeable with 2 rear seats, Two front beds for use when rear seats are in place, and Aluminum wheels. Full bath with shower, sink, fridge, propane water heater, furnace and 2 burner stove, microwave, AC heat pump, TV & DVD player, coffee maker, Onan generator & awning. Rear power sofa and table fold down to queen size bed. All in good working order. Always garaged. All records and manuals. Excellent condition. This is a chevy fully loaded with Roadtrek amenities including, two burner stove, microwave-convection oven, three way refrigerator, tv, dvd, rear camera, and continental tire kit, and hitch. Onan generator, outside shower and roof antenna, fantastic fan. Additional photos on request. Great shape all around. Winters in a heated facility. Original Owner, great condition – White on a Mercedes 2500 Sprinter V6 3.0 diesel with 67,000 miles. 2013 Roadtrek 190 POP For Sale - $68,500. Serious Buyers Only! Seller will send more photos upon request! In beautiful condition. Barely used with only 23,000 kms (<15,000 miles). Beautiful gold color with nice graphics. Extras include water hose, electric cable, BBQ and long propane hose (there is an external propane connection). 2013 Ranger RT - Chevy van with 32500 miles. 20’5” long. located near Cincinnati Ohio. Basic unit good for weekend trips as well as cross country. Includes generator for ac and heat. Unit has electric couch sleeping two comfortably. There is an awning for outdoor comfort. Radio replaced by previous owner. DVD player also missing from previous owner. Electric sofa/bed; awning; 4 leather seats; Clarion NAV and radio system and c olor back-up camera; Diesel; rear double door screen; HDTV/DVD on rotating bracket; interior and exterior LED lights; refrigerator; enclosed bathroom with shower/outside shower. Winterized and ready to go on new adventures. Selling due to health. Asking $94,500. $93,900 OBO Fully loaded Mercedes Sprinter 2500 V6, top of the line Clarion Navigation and radio. The RV systems are solar powered. The batteries can be charged in 20 minutes by running the engine. Has less than 20,000 miles on it and gets 20 to 22 miles to the gallon. White with grey interior, cherry cabinetry, GPS system, Bluetooth, backup camera, 5000-pound tow hitch. Excellent condition. This is a single owner RV (our first) that has been copiously cared for with all maintenance done in a timely fashion at Mercedes Benz of San Jose. Upgrades include modifications to the bathroom/bed area consistent with 2016 interior floor plan (i.e., more leg room on the right side of the kind bed). All systems (i.e. convection / microwave, refrigerator, bathroom, awning) in perfect condition. Granite countertops, enhanced latches on the cabinet doors. I’ve loved my Roadtrek, and now I hope you will too! All maintenance (including 30K service) by Mercedes. Still under warranty with Roadtrek! Has 2.1L turbo diesel V4 BlueTec with 7-speed transmission. Averages @ 20 MPG and still plenty of power. Charcoal grey exterior, ebony cabinets, black granite counter tops, "Halo-Leather" grey captain chairs and sofa with platinum distressed inserts, LED overhead cabin lights, and 24-inch LCD TV with DVD surround sound. EXTRAS! Luxury chassis pkg. including - 2 additional (4 total) 2,400 watt AGM batteries - 6 volt, 3 solar panels 300W with charging controller, Onan MicroLite HGJBB-LP 2.5KW Generator w/only 24.3 hours, power awning, additional outdoor shower, and Becker Harmon GPS Navigation and backup camera. A 5000 lb. tow hitch with receiver. MORE EXTRAS!! $700 RV Cover, $300 Weather Tech Floor Matts (and OEM carpet floor mats), $830 Michelin Defender MS tires (26,650 miles). This late 2015 build was delivered to the dealer in 2016 (title says 2015) on a 2015.5 Mercedes chassis (see MSRP). Less than 29k miles! Totally awesome RV. Everything works perfectly. Immaculately clean! MSRP $158,518.00, asking $110,000. 2015 Roadtrek CS XL, with many upfits. 27,000 miles. Updated and upgraded at the Roadtrek factory. Features full beds, Isotherm fridge, 6 AGM batteries, 12V rooftop AC, upgraded stereo, many other features. Low Mileage: All Open road: 26,756. Currently extra chairs are removed (seats 5) to accommodate two additional storage cabinets. The 2 extra Captain’s chairs as well as cabinets are included in price. Selling ONLY due to circumstances beyond our control. Love this machine. 34,589 Miles, excellent condition, seats 7 with beautiful dark gray interior. 3500 Mercedes Benz diesel chassis with 4 Captain's chairs and all electric including solar panels. Extra Long for more room and comfort. Everything in as new service condition. Generator. Screens. Spare macerator included. Brand new custom made off season cover. Sumo helper springs on all 4 wheels. Pull out wire shelving/drawers in wardrobe. Location Toronto (area) Ontario Canada. 2015 Mercedes Benz ROADTREK SS AGILE Class B Motorhome Short Sprinter powered with a 2 .1 L MB turbo diesel which gets 23 mpg and only has 23,000 miles. Only 7 K on Michelin tires. Features a fully equipped galley which includes a 3.6 cu ft refrigerator, convection microwave oven, 2 burner propane cooktop, sink and lots of storage, electric rear couch/queen bed, shower and toilet. AC power can be from a 3 kw Cummins-Onan propane generator or a 3 kw inverter/charger. Unit has roof AC and 13k btu propane heater, DVD player and TV, metal inclosed electric roof awning. This Sprinter has all the bells and whistles such as blind spot monitor, lane assist, rear camera, GPS/Navigation, TPMS display, tilt & cruise, chrome package, towing hitch and more. Recent 30,000 mile service.See at rvtrader.com or rvt.com. High end Mercedes luxury Package with navigation, heated leather seats, solar package, generator and much more! ONLY 8300 MILES! Original 6 year warranty still in effect and transferrable. Serviced routinely. We have enjoyed our time in it, but have decided to sell due to other time commitments. All accessories included. Sprinter 3500 3.0LV6 Turbo Diesel engine 20,500 miles. 240W Solar System, AGM battery system, Alde Radiant floor heating. Mercedes Luxury package including blind spot monitoring, lane keeping and collision prevention. Sleeps 3 and sits up to 6 people. Many Options. Too many to list. On a 2015 Model 3500 extended van Chevrolet chassis with heavy duty towing, navigation, power window etc., AM/FM Sirius radio etc. Generator with 2500-watt invertor/convertor/charger and 2 solar panels with charge control and 4 6V AGM batteries. King size rear bed or 2 twins, power sofa, and much more. 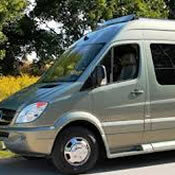 Luxury Mercedes package, leather captain seats ( both swivel), permanent bathroom, outdoor shower, propane furnace, ac, 300 watt solar with 2500 watt inverter, halo leather rear power sofa, champagne pearl color exterior, power awning, rear back up camera, built on Mercedes sprinter 2500 144 inch wheelbase van, 3.0 turbo diesel with 7 speed transmission. Under hood generator, continental spare tire kit, screen package, aluminum wheels, 24-inch flat screen tv with DVD player. 25000 miles. All services up to date. Mud and snow tires on vehicle, and brand-new summer tires available. 2017 Silver Ice Chevrolet Popular 190 with 6.OL V8 --14,500 miles. $87,500. options: Eco Trek 400 Lithium batteries, 200 watt solar panel, Volt Start Autostart, Underhood engine generator with 2500 watt inverter/charger, OnStar audio system/My Link with navigation, aluminum wheels with continental spare tire kit. We also upgraded with Bilstien shocks on front and rear which improved handling. Rear beds are king or twin. 2018 Roadtrek Zion SRT MSRP was $108,399 Asking Price: $79,000 (just reduced) Currently located in Jackson Hole, WY. My loss is your gain! Purchased December 2018 but due to changing life circumstances need to sell. Only used 3 nights. Brand new ( first owner), impeccably maintained with only 1,379 miles on it. Package includes: Ecotrek 400 lithium modules, 270w solar panel, underhood generator, volt start, power steps, convenient screen package (screens for sliding and back doors), 24" LED TV with blue ray player. Further equipped with: captain's seats (both swivel), compact wardrobe, expanded galley with cherry cabinetry, power awning, power inverter/charger, microwave oven, full bathroom, rear 12v power sofa (converts to queen bed), macerator, outside shower, Sirius AM/FM/CD/Bluetooth, LED lighting, spare tire in OEM location. Numerous extras, roof boxes, bike rack, bedding, solar, lithium batteries, under hood generator, automatic volt start system, leather, king sized bed. Columbia MO craigslist has more details than permitted here. I ordered these from RT last year, but when I brought them to my local auto glass shop to install, they decided to use their own materials. So they are absolutely brand new--receipts & instructions available. I think they should fit Dodge RoadTreks from years up until 1994. Details: Brand new, in the box, only $225 plus shipping. 2 Drawer Nightstand from a 2002 Roadtrek Popular 190. Looking for seat bases, and possibly seats for a 190-210 model built off of a Chevy Express base. I am under the impression that the Versatile and Popular models use the same seat bases and they would have the same bolt pattern as a Chevy Express. The Roadtrek part numbers are 40028002 and 4002700. I'm looking for one for the driver side and one for the passenger side. A message from Roadtrek Motorhomes Inc.
For anyone who has purchased a used Roadtrek, please make sure you have registered it with Roadtrek Motorhomes. This is required for product safety recalls and other communications from the factory. Please forward the following information to sales@roadtrek.com or to (toll-free) 888-ROADTREK (762-3873): Name, Address, City, State/Prov., Zip/Postal Code, Phone, email, & last 8 digits of your Roadtrek's VIN (Vehicle ID Number). Thank you and happy Trekking. We have Member/Dealers who have some great new and used Roadtreks.. They are a part of our group, so take a look below at their ads. 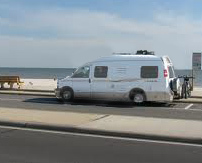 HERE ARE MULTIPLE ROADTREKS OFFERED BY SUNSHINE STATE RV'S. THEY REALLY INVITE YOUR ATTENTION. HERE ARE MULTIPLE ROADTREKS THAT FRETZ ENTERPRISES OFFERED. THEY REALLY INVITE YOUR ATTENTION. JUST CLICK ON THE LINK FOR THE RT YOU ARE INTERESTED IN (BELOW) FOR MANY IMAGES AND FULL DESCRIPTIONS.